Gated Complex In Private Waterfront Community! 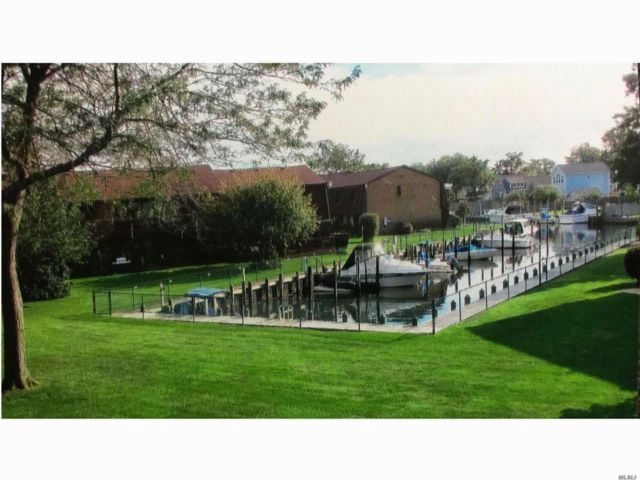 1 Bdrm Upper Unit W/Lg Terrace Over-Looking Private Canal W/Boat Slips Avail To Community Residents. Eik W/New Stove/Dishwasher. New Storm Door. Huge Lvrm/Dining W/Amazing Waterfront Views From New Slider! Incredible Waterfront Pool, Clubhouse & Tennis! Common Charges Include: Gas, Heat, Water, Outside Maintenance And Master Liability & Flood Insurance! Own A Piece Of "Endless Summer"!